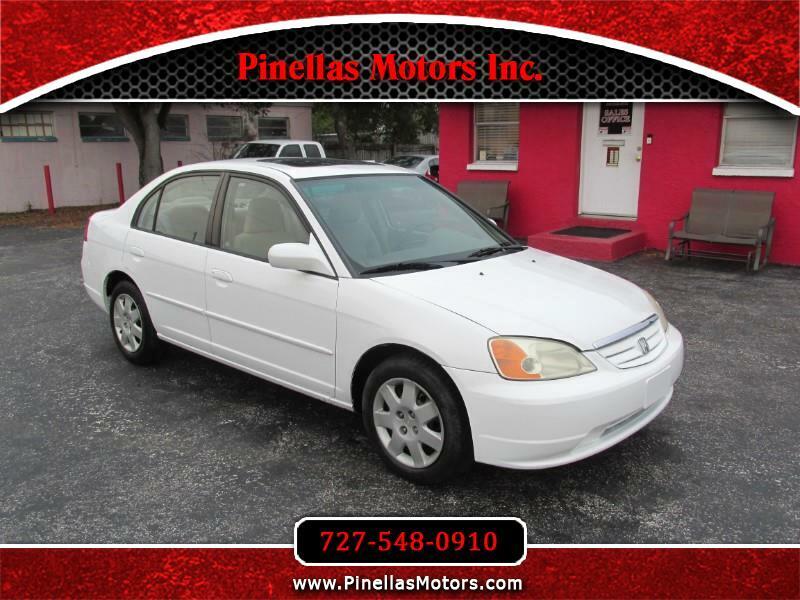 Used 2002 Honda Civic EX sedan for Sale in Pinellas Park FL 33781 Pinellas Motors Inc.
LOW MILES, ONLY 77K! - GREAT ON GAS - This 2002 Honda Civic is the perfect vehicle for someone looking for something extremely reliable AND affordable. Plus it only has 77k miles! Clean, reliable, and affordable...inquire today!